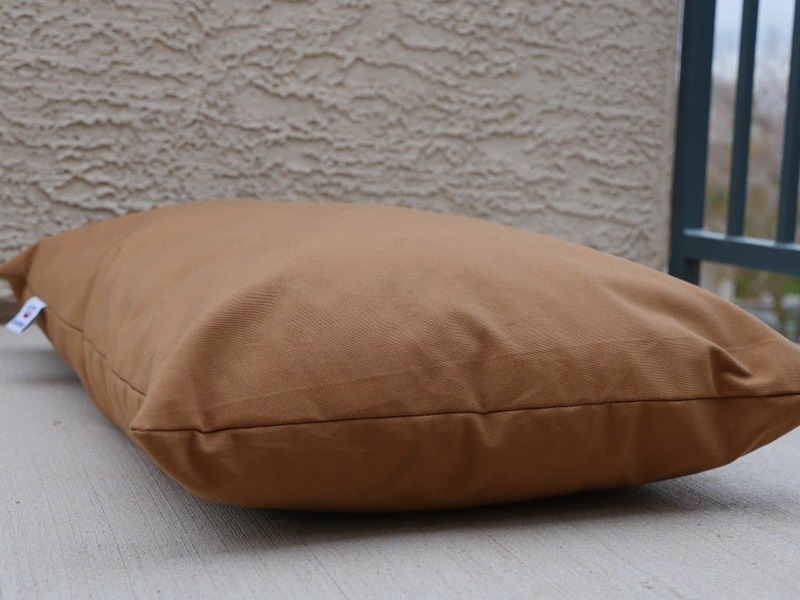 Tired of purchasing pet beds that don’t last? Well say hello to the new Nest Bedding SpotBeds pet bed. 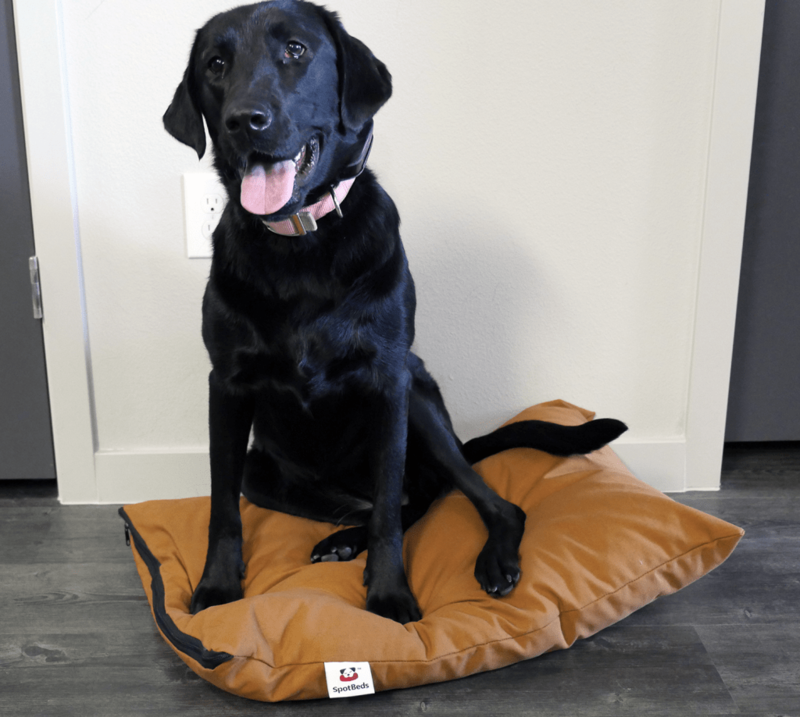 This pet bed is changing the game and allowing owners to feel much more confident that their pet will no longer need a new bed every couple of months. 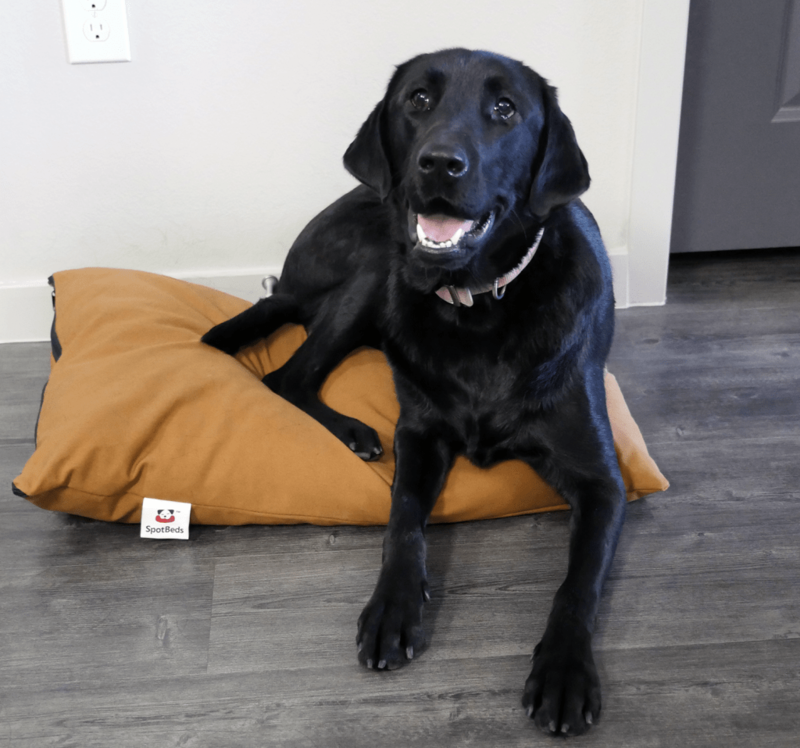 Nest Bedding’s SpotBed pet bed! The SpotBeds pet bed is quite impressive. As we all know, our pets aren’t necessarily the cleanest. From rolling around in mud to shedding hair daily, our pets need a bed that can handle their messes with ease. 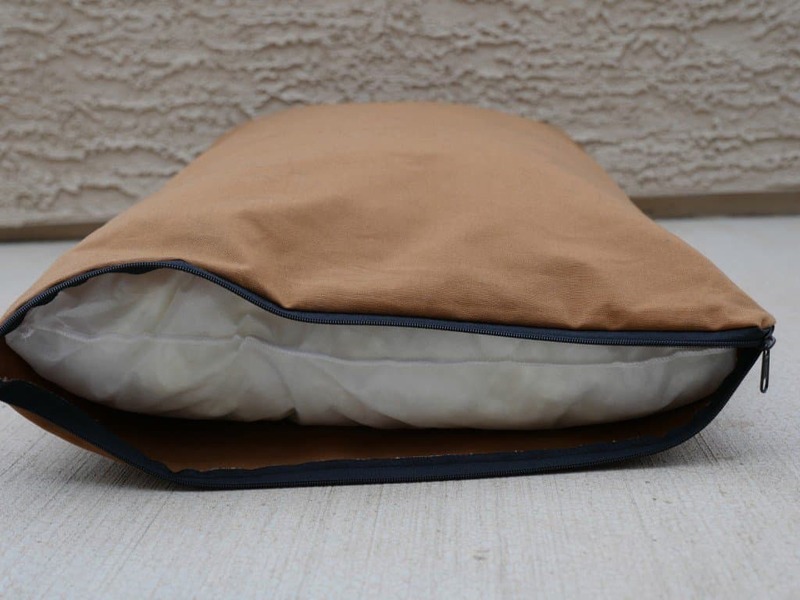 The SpotBeds pet bed is designed with a heavy duty washable canvas cover. In other words, our pets don’t stand a chance against ruining this bed! Inside of the bed is a breathable and comfortable fill. The bed has almost instantaneous response. Although that sounds silly, it is actually quite beneficial. Those pet beds that don’t respond to normal shape after the pet hops off of it aren’t worth your money. After a few short months they will flatten out and eventually your pet could be lying on a bed with no support. One of the major benefits of the Nest Bedding SpotBeds pet bed is it’s organic. The fill used inside the bed is certified CertiPur-US. The certified foam and silicone fibers ensure that your pet sleeps cool and comfortable while you relax, worry free about toxic emissions. When testing the durability of the SpotBeds pet bed I examined a few areas before allowing my cousin’s dog to enjoy the bed. First, I searched for loose threads around the seams. The bed was virtually flawless in terms of stitching. I found one very small loose thread, but I do not believe it will have any impact on the long term quality of this pet bed. Next was the zipper. 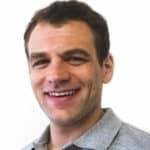 Did it unzip easily and then zip back up without any complications? Indeed, it did. There were no issues replacing the cover whatsoever. Now, it was time to let my cousin’s Black Lab, Stella, lie on the bed. As a dog that sheds a lot on a daily basis, she was a good candidate for examining the SpotBeds performance. After letting her get comfortable on it for about 30 minutes, we removed her from the bed and reviewed the shape of the bed in addition to hair retention. The shape of the bed was exactly the same as before. Although there was some hair retention, we were easily able to remove it all for a clean, brand new look. All in all, this pet bed is very nice. Stella (the Lab) seemed to enjoy it and the overall performance was great. Additionally, there was no alter in size or quality after a wash cycle. The SpotBeds pet bed is offered in medium (20″ x 30″) and large (30″ x 40″) sizes. The medium is priced at $89 and the large is $99. Finally, these beds are completely made and sourced in the USA. The SpotBed by Nest Bedding covers all of the essentials for your dog’s next bed. Built from a durable canvas cover, stuffed with Certi-PUR certified organic foams, and designed by one of the most prominent online mattress and sleep retailers, the Nest Bedding SpotBed is everything you and your furry friend need in a pet bed. Apple, my Coton de Tulear, is almost 12 years old. She needs a bed with great support for her sweet 20-lb body. Gracie, ny Huskie mix, needs a bed. Definitely get the large if you decide to go with the SpotBed.